Henry Winkler « Midlife Crisis Crossover! That awkward moment when you don’t get to do jazz hands with world-famous actors. 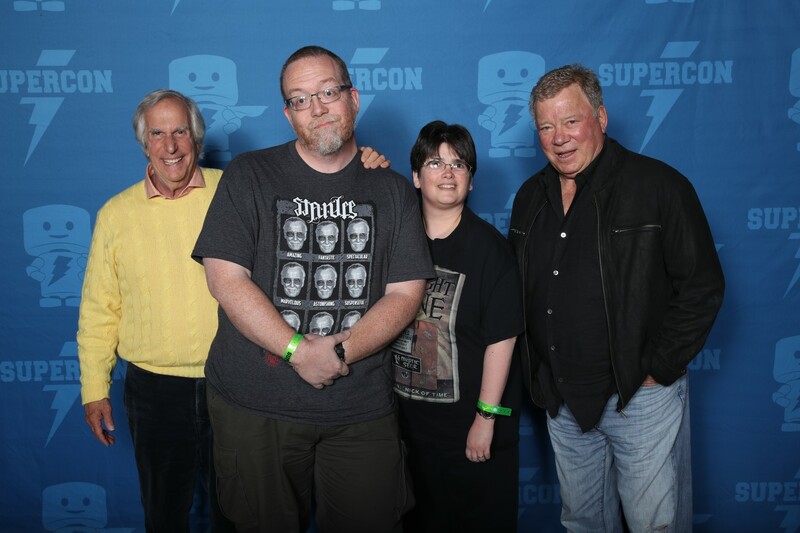 On Friday my wife Anne and I had the sincere pleasure of attending the inaugural Louisville Supercon, run by the company responsible for Florida Supercon since 2014 and Raleigh Supercon since 2017. Like many convention companies they’ve now turned their attention to the Midwest, which has been enticing and enthralling show promoters for a good five years now, ever since they noticed some of our states have money and geeks in them, in that order. Mind you, I’m not complaining.